Facebook Messenger is rapidly developing as one of the largest chatbot platforms. New features are rolled out monthly and some of them are quite expected while others are super progressive and open new horizons for developers. Payments inside Facebook Messenger (native and webview experience). Location quick replies and quick replies with images. Payments inside Facebook Messenger are one of the most exciting features chatbot developers have been waiting for. This exquisite functionality gives the largest brands and businesses the possibility of selling directly via Messenger. What can be better than that? There are two types of payments available at the moment for those who have applied for beta access and are selling to U.S.-based users: native payments directly in Messenger, and payments via Messenger webview and its extensions. 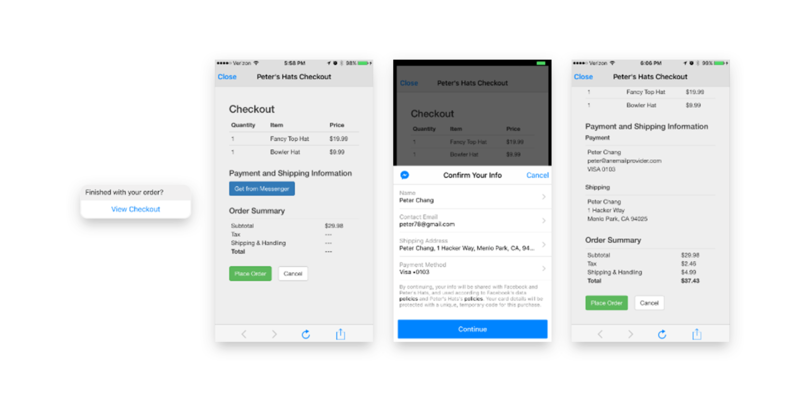 Native payments offer checkout directly in messenger, without redirecting users to another screen or website. The whole payment process takes place directly in the app or the chatbot that offers such a possibility. Webview payments are a bit different. 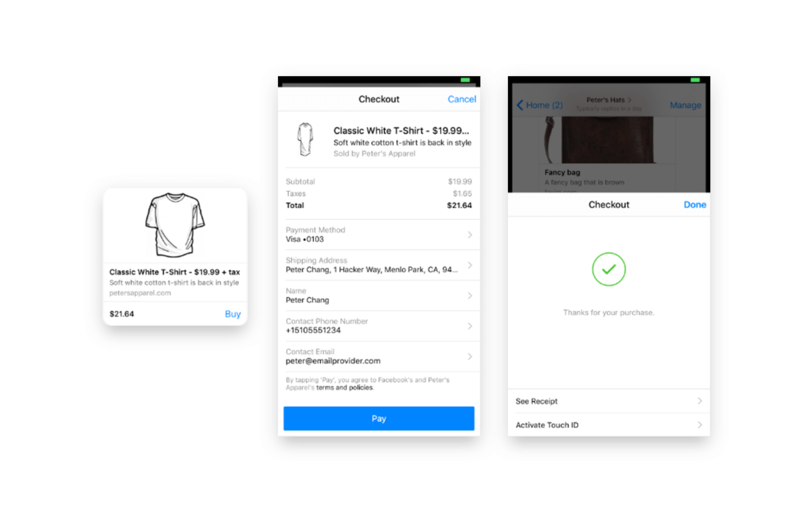 The checkout process starts in Messenger but when a user clicks the “Buy” button he is redirected to a so-called ‘webview’ window, the height of which can be adjusted to compact, tall and full sizes. This webview extension allows users to fill in all the necessary financial information and check out via one of the payment systems. Another important difference between native payments and the webview experience is the payment systems used. Native checkout offers businesses the opportunity to use PayPal or Stripe, while webview checkout is strictly limited to Stripe only. Let’s take a look at quick replies now. At the moment the platform offers chatbot developers and companies the ability to use quick replies to provide ready-to-go choices for users instead of making them type something. Quick replies can be also used to prompt users to share their location in just one tap. It is also exciting that from now on we can add not only text but images and icons into quick replies as well. Inline videos is another feature not everyone knows about, but they make the whole chatbot experience much more fun as it is always easier and nicer to watch a video than read boring text cards. However, when developing a chatbot experience with inline videos one should remember the limitations: the video should be in MP4 format and not heavier than 20 MBs. It is also important to bear in mind that the heavier the video is, the longer it will take to load. Based on my experience, 10-second-long videos work perfectly as their loading time is just three to five seconds. 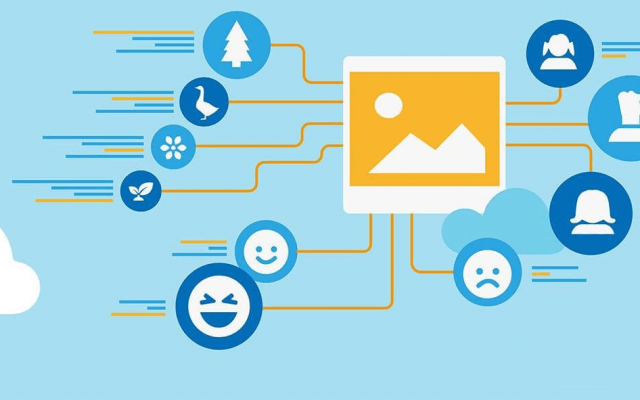 A share button can add value to your chatbot journey as well. Currently, the share button works for generic templates only; those are gallery cards and text cards with buttons. It is pretty easy to implement. 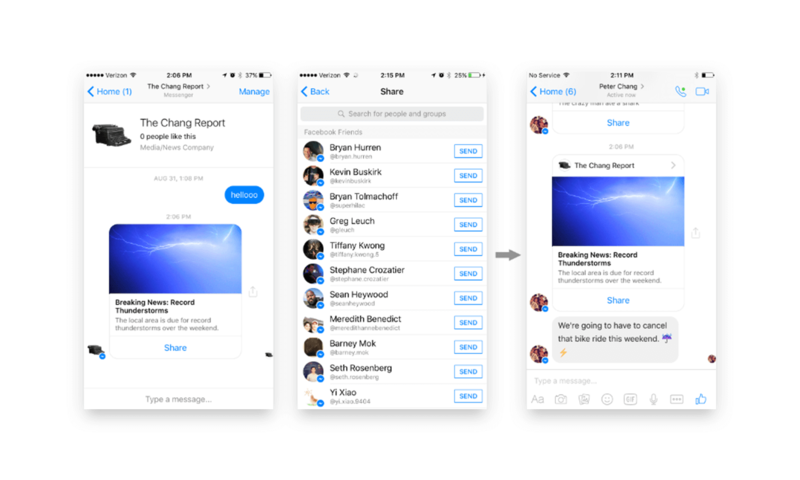 Share buttons allow chatbot users to share the cards they liked directly from the bot to their Facebook friends. You just need to tap the ‘Share’ button on one of the cards, choose a friend (or friends) you’d like the share the content with, and tap ‘Send’. 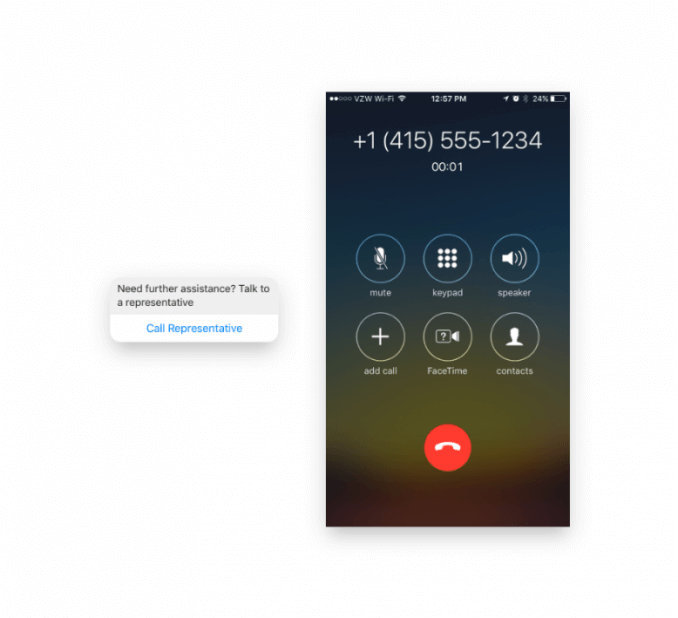 Another exciting feature is the ‘Call’ button. 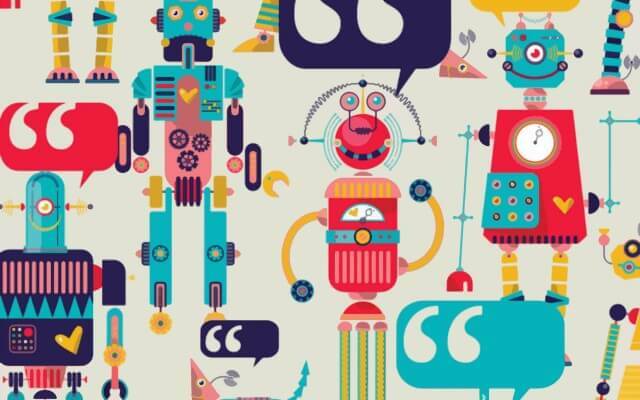 It allows users to initiate a call directly from a chatbot. It can be used with generic templates with buttons. 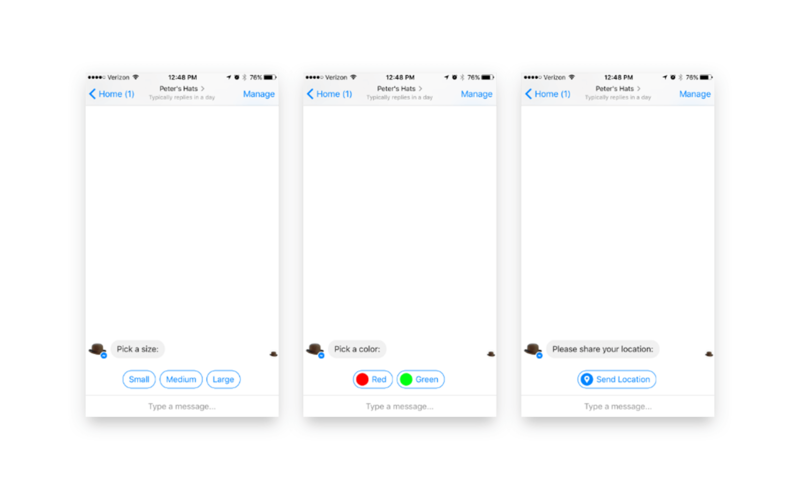 As you can see, Messenger is developing and evolving all the time together with the chatbot world. One needs to be up-to-date to be on the front line with other pioneers in the sphere. It is very challenging and exciting at the same time. So let’s be hungry and let’s push the limits we have already broken even further!